An elegant and stylish design of a cup of hot coffee from our brilliant collection of coffee wall art stickers to decorate your coffee shop or home. If you are a coffee lover then this is perfect to remind you about your coffee on a monday morning! 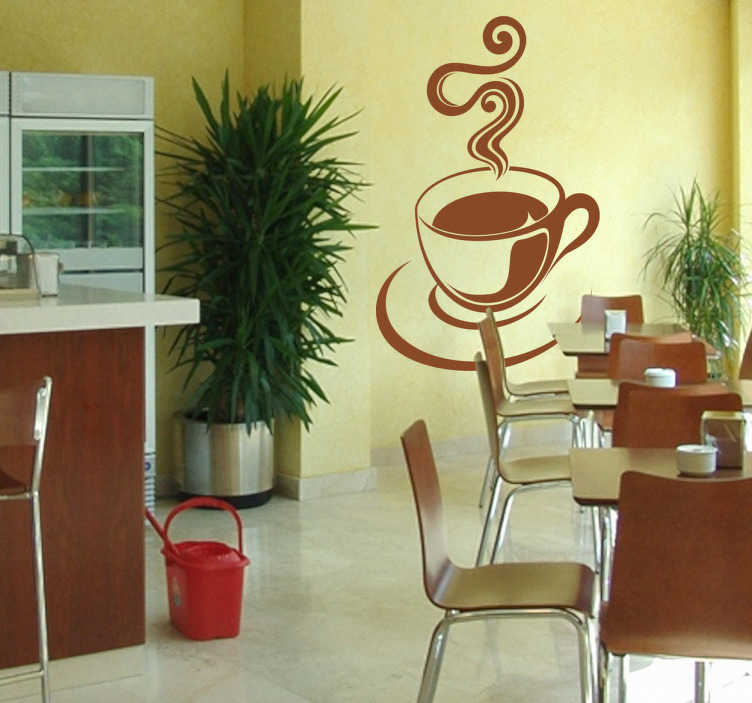 This silhouette coffee decal is perfect for all smooth surfaces. Available in a wide range of colours and sizes. Easy to install and remove.